Just arrived today 1940 Ford Standard Grilles ... limited supply , these are the ones with the chrome center , painted sides. 8 arrived today, special price , call us at 603-321-0379 for a fast reply. Or send a txt to the same number. on the way in, nice 31 Ford Tudor Sedan, 59k miles, no rot/solid/ beautiful interior, we will post photos, 12,850. ** 1940 Ford Bumpers !! *** Good selection of rebuilt Model A speedometers back in stock, Stewart Warner, Waltham’s and special sale on the Northeast! Rounds and Ovals ! *** 30 sets of Model A Shock Kits coming back in stock within a week, they sell very fast, reserve yours now. at sullivansgarage@gmail.com , always a same day or answer within minutes ! Model A Ford Shock Kits BACK IN STOCK! we not only sell them, we are the OEM for them. -- we are now also offering these kits for ALL 4 Wheels, JUST the FRONT or JUST THE REAR. This is a new offering -- excellent deals, buy direct and SAVE. Fully illustrated directions, all hardware included. 2100 sets sold, our best selling product... new with all BLACK Shocks! All brackets , all bolts, detailed directions, easy install. The best Model A shock kit on the market. See our ad in Hemmings. Back on the shelf , 1932 Grille Sheels and inserts. 1936 hubcaps back in stock! Truck Load of Gas Tanks - Running Boards - Bumpers just came in..
call or text us for a special price on 1935/36 and 1940 Ford Bob Drake Running Boards..... in stock, immediate shipping. ** Check our price on the 1932 Running Boards, best deal around. New Customer, or back shopping for more?- no purchase minimum, no annual membership fee, ***at check-out use the code CLD2019*** and receive and additional discount. Use it on all orders throughout 2019, each customer can use the code up to 10 times. do you have a quick question on inventory or general question?? sullivansgarage@gmail.com OR a txt msg to 603-321-0379 we will reply fast! There are days when we can get several dozen phone calls, so the fastest way for a quick reply is to SEND AND EMAIL or TXT...thank you!
" thanks for sending the motometer to France"
" thanks for taking the time to help me understand how to install the parts even though we got them somewhere else" Pa.
" you were the only shop that would put the exact miles on the speedometer rebuild for me, thank you because it is an origial 53,000 mile car, and thanks for the one year warranty"
" i know you are a small shop but still, cant remember when anyone ever put a hand written note in the box with a tip, thank you"
"thanks for shipping to New Zealand mate, best price around"
" We enjoyed doing business with you, thanks for sending the running boards to Canada"
" fast ship to Australia --- we will be back for more "
1940 std 3 pc grilles also fit 40/41 PU IN STOCK! We probably have the best deal on 1932 Ford STEEL Grille Shells and Stainless Inserts on the planet. these are not the cheap ones, they are the best. We stock the original style with the holes and the street rod without. The kits 2 pc sets retail for 650.00, we sell them for 487.77 (that's our ad you see in hemmings) we try and keep a dozen sets on the shelf for you..... 5 sets on the shelf! **check our great prices and super selection of Model A Ford Speedometers **! prices from 120.00 to 245.00 "all rebuilt" "all with a one year full replacement warranty" we also have them for the AA, in Kilo and rare Waltham Ovals! Several Stewart Warner ready to ship! 17 IN STOCK ! A COUPLE 1932 FORD REBUILT SPEEDOMETERS ! * 1932 Bob Drake steel dash, with and without instrument cutouts! * 1941-1948 running board mats with cement! * 1932 Ford Tail Lamps -dozens in stock. Great Selection of original repo headlamps and all kinds of Street Rod Ones, KING Bees, Dietz, 32 Ford , check them out! our prices are hard to beat! Even have the Baby Deuce ones on sale! or, place any order over $1500 and call me another "special discount"
Worldwide shipping ! over 3000 items on the shelf, some of the best prices from any reproduction parts supplier.From nuts and bolts to gas tanks, running boards and grilles. Need a lay away? Make up your entire order but don't finish the check out. The website will show your total, shipping and the discount, then call us at 1-855-785-5988, just pay a minimum of 100.00 and the balance can be paid over 120 days.... (minimum lay away 500.00 orders) we will provide a 100% guarantee that all items you order will be packed the day you pay the minimum amount and that NO items will be sold to another customer. This is a valuable offer, because some of the early flathead parts can go into back order for 6-12 months. 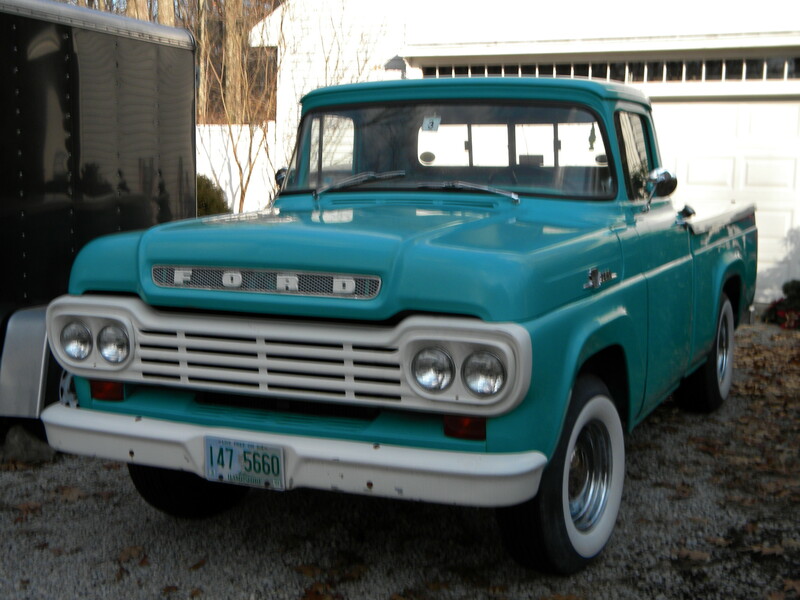 So for example, most dealers are now out of the 40 Ford Drake Std Grille, if you buy on from us on layaway... its yours! Your Early Ford & Street Rod Store! Model T, A, Early V8, Pickup, Street Rod & Rat Rod. Sullivan's Garage... more parts.. better deals, every day! Can't stop your Model A??? CHECK out our Model A Ford Brake Floaters, over 2000 sets sold! Want a DEAL on a 1934 Bob Drake CHROME GRILLE ? CALL ME! One left . building a RAT ROD? check the cool VINTAGE Grilles we have on our Rat Rod Page. Several to choose from! If you have any problems during check out, simply call 1-855-785-5988, please wait for the tone and then leave your message, we will call you back.